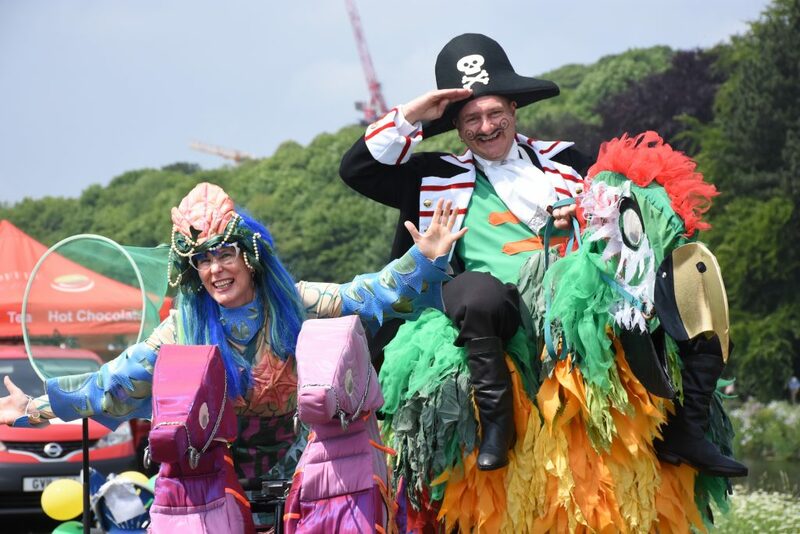 The 185th Durham Regatta on June 9th and 10th proved to be a resounding success, celebrating the beautiful city of Durham and its river, and has been acclaimed by some as the best Regatta for many years. The Principal Sponsor Prestige Student Living was quick to praise a great weekend and a brilliant event. Planned efficiency measures including changes of land use and revised circulation arrangements for boats, competitors and traffic were implemented successfully, as was an improved timing and results system, and despite having to start a race on average every two and a half minutes, some 460 races were completed over the two days. Minor controversies and the odd disqualification merely added interest for the thousands of spectators watching in admiration from the riverbanks. As well as the rowing action on the river there was plenty more to keep visitors on the riverbanks occupied, and with fine weather for much of the weekend, and delicious food and drinks on offer visitors were able to enjoy the range of family entertainment available, including funfair rides, music performances, street theatre, a magician, Punch and Judy shows, face painting and even a Bubbleologist. 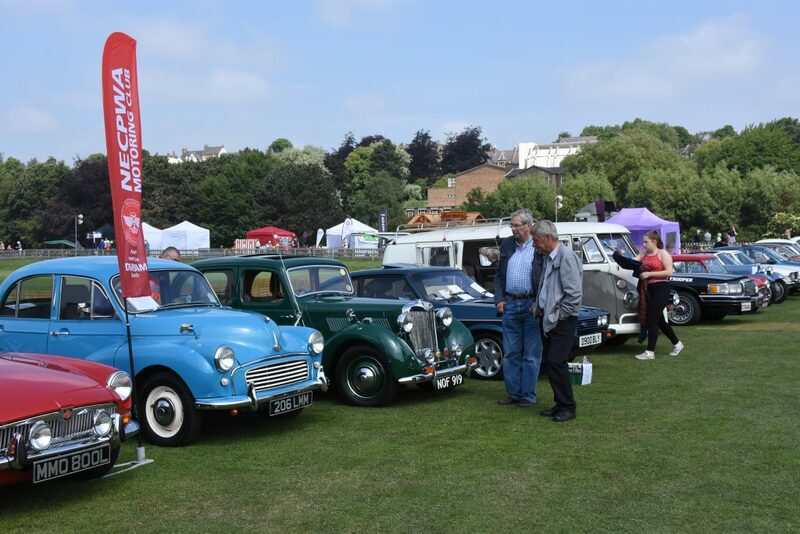 Alongside this was the ever-popular Classic Car Rally, with more cars on display than for several years. While many relaxed the Regatta’s Artist in Residence was busy and will be showcasing her work over the coming months. 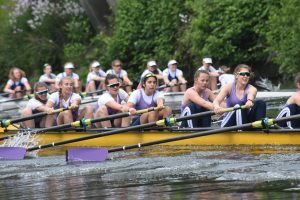 On the river, rule changes introduced by the sport’s governing body British Rowing were also adopted on both days of the Regatta for the first time. The Boat Races of the North between Durham University Boat Club (DUBC) and Newcastle University Boat Club (NUBC) took place on Saturday afternoon, with the Newcastle eights winning both men’s and women’s races, the men’s by a margin of only 3 feet. After their race DUBC held a boat naming ceremony, naming their eight in memory of former alumnus Finn Abberton who died tragically last December. NUBC also took victory in the men’s and women’s Championship Eights races, completing the 700-metre course in 1min 49.8sec. 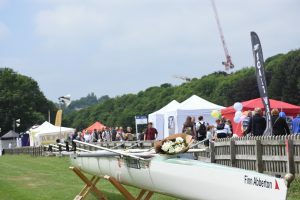 However, DUBC was the most successful single club at the Regatta, winning in 15 of the 109 events contested, 5 of them on the long course over 1800 metres on Sunday, including the Grand Challenge Cup for Open Championship coxed fours, the Cyril Carpenter Trophy for women’s Championship coxed fours, and the women’s Championship coxless quad in which the Yarm School opposition included 2012 Olympic gold medallist Kat Copeland in their crew. Racing success was well shared out, with wins for 27 different clubs. 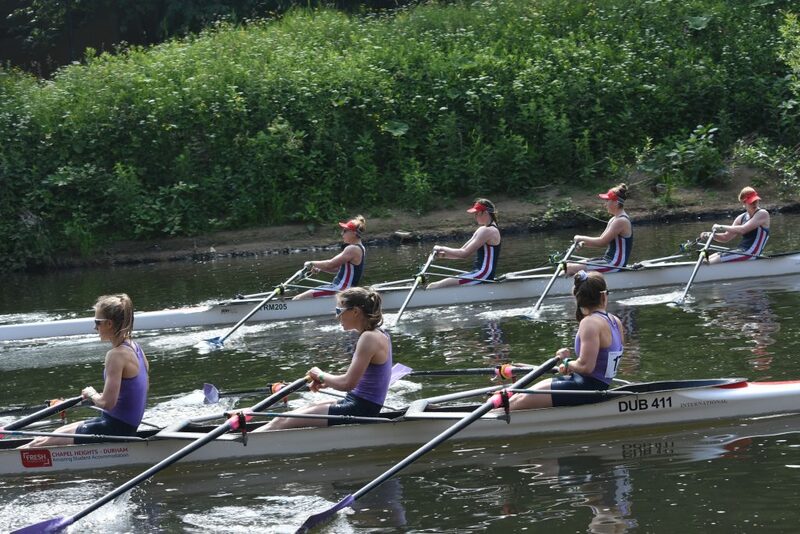 The River Wear-based clubs did well with 62 wins in total, Durham School having the best return with 13, including 4 in composite crews, while Chester-le-Street Amateur Rowing Club and Durham Amateur Rowing Club enjoyed 9 wins each. Durham School was also the most successful school club at the regatta. Chester-le-Street did very well in the junior sculling events, with Eve Larsen winning both the women’s J18 single sculls and Women’s Championship single sculls, before she goes on to represent the club at Henley Women’s Regatta in 2 weeks’ time. Roman Bowery and Caitlin Warren also claimed victories in single sculling events at both J15 and J16 age levels. Durham ARC won the Open Championship coxless quad and Open J18 coxless quad, raced over the long course, and the Women’s Elite coxless quad, as well as winning 3 of the 5 masters events contested, good preparation for next weekend’s National Masters Regatta at Nottingham. There were 14 wins for the Durham University Colleges, Collingwood College Boat Club seeing the best return with 4. 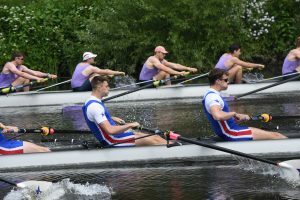 Hatfield College took the Mayor’s Plate by winning the Open Beginners four, while St Chad’s College picked up the William E Neesham Bowl with a rare victory in the women’s non-Championship B eight. The River Tyne-based clubs won in 26 events, Tyne ARC taking 11 victories including the Open Elite pair. A Durham School/Tyne ARC composite won the Open J14 octuple on both Saturday and Sunday, and there were wins for Hexham and Tyne United. There was some success for smaller clubs with a win for Berwick ARC in the Open Championship double sculls for Andrew Cairns and Chris Eke, and there were 3 wins for Cambois RC with Richard Fergie winning twice in the Open Elite B and Open Championship B single sculls. Further afield there were successes for several Lancashire and Yorkshire based clubs, Leeds University leading the way with 7 wins, including the Open Intermediate 8+, Women’s Beginner 8+ and Women’s Championship B 8+. 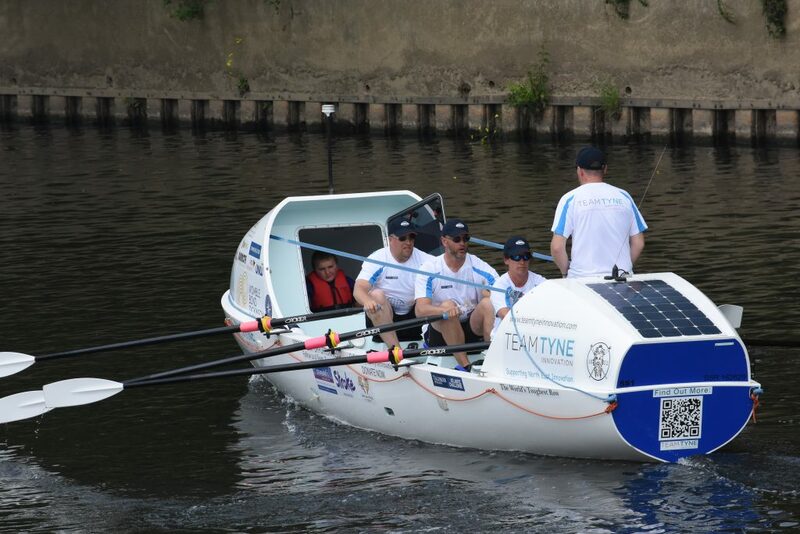 The crew of prospective transatlantic oarsmen from Team Tyne Innovation, who will be taking part in the Talisker Whisky Atlantic Challenge in December, had their boat on display on the riverbank throughout the weekend, and on Sunday launched it on to the river for a row past during a break in the racing. 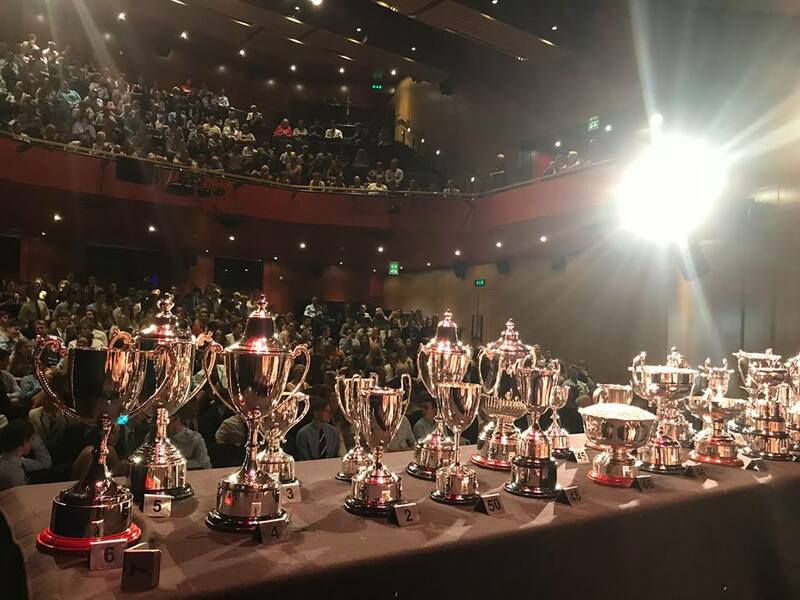 The Regatta’s historic trophies were on show at the city’s Gala Theatre on Sunday evening for the formal presentation of prizes, where Helen Butters from transatlantic rowers Yorkshire Rows gave out prizes to winners, accompanied by members of Team Tyne Innovation. An excellent weekend was enjoyed by all who attended. Feedback from sponsors, traders, entertainers, competitors and spectators has been very positive, and much credit for the success of the event must go to the organisers and to the many volunteers whose diligence over the past year as well as over the weekend made it all possible. Next year’s Durham Regatta will be on June 8th and 9th 2019.